Are you looking for a safe solution for your howling hound or yapping yorkie? 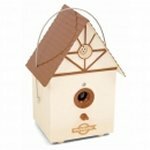 Shop our large selection of bark control devices because you'll have peace and quiet once you do. If the problem is not with your dogs, but your neighbors dogs, we have several Ultrasonic Bark Control Products too. 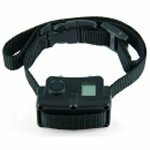 What are the differences in these bark control collars and accessories? Spray Bark Collars emit a harmless spray under your dog's snout that immediately interrupts his or her barking. We have citronella and unscented spray. Spray bark collars are best for all dogs, especially extra sensitive dogs. Static Bark Collars produce a gentle static correction that is similar to a static shock that you might receive after rubbing your feet on the carpet. These bark collars are great for stubborn dogs. Ultrasonic Bark Control devices release a high frequency sound that only a dog can hear. The sound discourages your dog as well as your neighbors dogs from barking. We recommend these devices for sensitive and small dogs. Our Vibration Bark Collars use a varying pattern of vibration that surprises a dog. 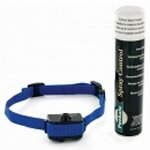 It does not use any static correction and is ideal for sensitive and deaf dogs. You may be wondering if you'll ever get a good night's sleep, or be able to smile at your neighbor again. If that's the case, it's probably time to get a bark control collar or device. The reality - dogs bark. They do it when they're excited or when they sense danger. Some do it when they're bored – or worse, for no reason at all. You want to teach your dog that barking is only permitted under certain circumstances. 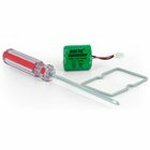 Our indoor and outdoor bark control devices are marvels of miniaturization and innovation. They monitor for your dog's bark and automatically let him know when he needs to be quiet. These remarkable collars can remove the strain that excessive barking has put on your relationship with your otherwise perfect pal.